First of all, Medicaid is the largest health insurance program that the United States of America offers. This kind of health insurance program is funded by the state and the federal government. Because of this, you have to consider that the laws in each state regarding the eligibility and the requirement rules differ. The fact that this health insurance program is one of the primary source of health care for low income families and the elderly as well as the disabled in the United States, it can provide you with health insurance benefit where it is able to cover up to one hundred percent of the total cost of hospitalization as well as the professional fee from your physicians. In Montana, about 22 percent of children are enrolled in Medicaid. You have to understand that Medicaid is entirely different from Medicare. 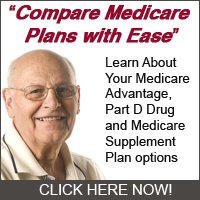 In Medicare, it is usually funded mostly by the federal government. This insurance program also focuses more on the elderly people. However, with Medicaid, it is funded by both the federal and the state government. Also, Medicaid focuses more on children living in low-income families, as well as the members of low-income families, and the elderly and the disabled. If you live in Montana, it is important that you should know about the eligibility and requirement rules in getting Medicaid. You have to remember that what may make you eligible for Medicaid in another state will probably never make you eligible in getting Medicaid in Montana. If you have children, you might want to try and get them enrolled for Medicaid. Today, there are about 22 percent of children in Montana who are enrolled in Medicaid. What this means is that more than half of those who are enrolled in Medicaid in Montana are children. Although this is so, it only makes up about 26 percent of the state’s medical spending. If you live in Montana and have children living with you, you can get your children enrolled for Medicaid if you get an income below 19,350 dollars. If you have a child under 6 years old living in a family of four and your total household income is lower than 25,736 dollars, the child will be able to become eligible for Medicaid. As you can see, Medicaid is offered only to people with low income levels. However, it is important that you should always check with the state laws regarding the eligibility and requirement rules in Montana Medicaid. Getting pediatric care and other health care services can be quite expensive. Even in Montana, you have to remember that the cost of health care services all over the United States is constantly on the rise. This can be bad news especially for people who only have low income level. However, thanks to Medicaid, even people with low income level are now able to afford high quality health care. So, if you live in Montana, and you are under one of the individuals or families who are under the low income level, you might find it useful if you apply for Medicaid. Through this health insurance program provided by the state and federal government, you no longer need to worry about high medical bills for you and your family. Through Medicaid, you will see that it will be able to take care all of your family’s medical needs.